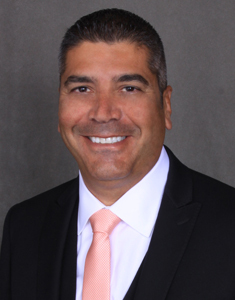 Leoni Pinheiro, Sales Associate at The Blau Berg Company is responsible for representing clients in all transaction aspects and uses his sales/marketing background and strong work ethic to provide his clients with a competitive advantage in their commercial real estate transactions. In his role, Leoni uses his sales and marketing background and strong work ethic to provide his clients with a competitive advantage in their commercial real estate transactions. In over a decade, he has established an excellent track record and maintained an impressive roster of clients and customers, including Super Bread 2 INC, OJ Tank Wash, Keebler/Kellogg Company, Borden Foods, Gem Ambulance Services, Newark Equipment Sales, Ryder Logistics, Metropolitan Life, Hitachi, CVR, Verizon Wireless, Meridian HC, Booz Allen & Hamilton, Sensor Technologies, Hampton Forge Corp, Simon Property Group, MBI Partners, Dax Technologies and many others. Prior to joining The Blau & Berg Company, Leoni was a US Veteran and NJ Law Enforcement Officer. He also held a sales and marketing position at Sitar Realty of NJ. Recently, his most notable transactions include a 42,000-SF warehouse/office lease for Super Bread of Kenilworth. Leoni is a graduate of the University of Delaware School of Business. He has attended numerous commercial real estate courses and seminars in New York City and New Jersey. Leoni is actively involved in his community and enjoys coaching his children’s teams.